THE GLOBAL MARKET FOR MUNICIPAL WASTE TO ENERGY TECHNOLOGIES TO EXPAND TO $41.5 BILLION BY 2021. According to a new market research report published by Innovative Research and Products, titled ‘Municipal Waste to Energy – A Technology, Industry and Market Analysis’, the global market is expected to expand from $30.2 billion in 2016 to about $41.5 billion by 2021 at about a 6.5% compound annual growth rate (CAGR) over the next five years. Municipal waste-to-energy (MWTE) is a renewable energy source which obtained from resources that are essentially unlimited, since it consists of human-generated solid waste that is produced in every country around the globe. MWTE can be used to generate thermal energy and/or electricity. A number of MWTE technologies are available to communities in the United States and other global regions. These include combustion technologies, landfill gas technologies, plasma gasification technologies, pyrolysis gasification technologies and refuse-derived fuels. According to the Irap report, Global market for Municipal Waste to Energy Technologies was estimated to have reached $30.2 billion in 2016 and will reach $41.5 billion by 2021 with a growth rate of 6.5% compound annual growth rate (CAGR) over the next five years. identify and profile all global producers and suppliers of soft magnetic materials. users of electrical steel, cold rolled lamination steel, amorphous steel, soft ferrites, nickel-iron alloys, iron-cobalt alloys, solenoid-quality stainless steel, etc. In terms of regional demand, Asia’s demand for electrical steel has increased astronomically. It is the only region in the world that increased consumption of electrical steel from 2008 and will see growth to 2019. PDF copy order will be sent right away after receiving the payment. 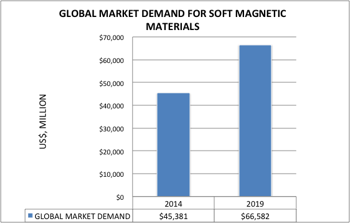 According to the iRAP report ‘Soft Magnetic Materials – Technologies, Materials, Devices, New Developments, Industry Structure and Global Markets’, and as reflected here in the Summary Table, “Global Market for Soft Magnetic Materials, 2014-2019”, the 2014 global market for soft magnetic materials stood at about $45.4 billion, and it is estimated to reach $66.6 billion by 2019. 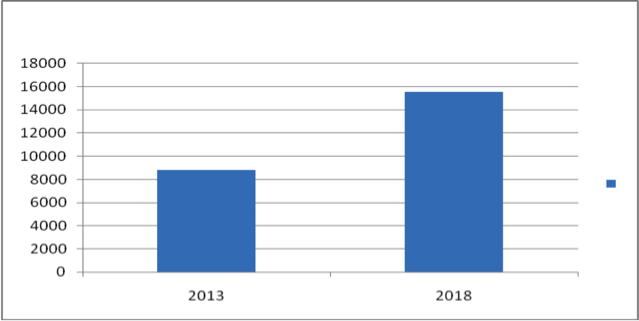 The compounded annual growth rate (CAGR) is expected to be 7.9% from 2014 to 2019. The steel segment, which consists of electrical steel, cold-rolled lamination steel, and amorphous steel, has the largest market share followed ceramic soft ferrite. In terms of growth rates in dollar values, amorphous steel is expected to have the fastest growth rate followed by soft ferrites and other steels. 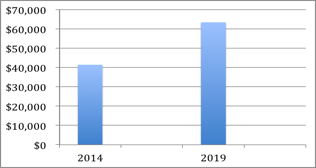 In terms of regional demand, Asia’s demand for electrical steel has increased astronomically. It is the only region in the world that increased consumption of electrical steel from 2008 and will see growth to 2019. Electrical steel is of great importance in China and India due to increasing energy consumption, concomitant with their strong economic growth. Not only are China and India putting new transformers into use, they are also replacing older transformers to improve grid reliability. Both are seeking higher efficiency, grain-oriented steels to reduce energy losses. Home automation (HA) has made good headway into commercial markets in the past few years and is still growing. 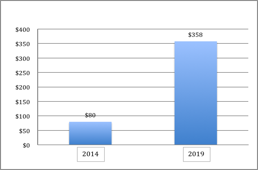 According to a recently published report from iRAP, Inc., “Home Automation Architecture: Types, Applications, New Developments, Industry Structure and Global Markets,” the global market for home automation architecture has been estimated to reach $11.95 billion in 2013, and is expected to grow to US$ 20.85 billion by 2018 with a CAGR of 11.7%. Today, it is possible to control an entire “smart” home – audio, video, lights, thermostats, IP cameras, security systems and much more – with easy taps and gestures. It is possible to quickly browse movie, artwork, or music collections. Easy-to-use applications provide real-time, touch control of audiovisual systems, lighting, shades, room temperatures and more, from Android phone or iPhone, iPod Touch, iPad, or any other devices which can seamlessly communicate with a HA control system via 3G, GPRS, or EDGE cellular networks or Wi-Fi, to allow the convenience of remote use and control. From 2013 to 2018, telecom/mobile network operators will play a major role in reaching the mass market through affordable service and partnerships with manufacturers of HA products. There is additional opportunity in the area of enabling services such as remote device monitoring, firmware updating, and data management and analytics, among others. “Managed solutions” refer to standard HA products offered by broadband service operators. It includes, besides traditional home security companies like The ADT Corporation, major telecom operators such as Verizon Wireless, AT&T, Comcast, Time Warner Cable Enterprises LLC, Swisscom AG and Bell Aliant Inc. Manufacturers of HA products need cable and telephone lines to connect their automation systems, while cable and telecom companies sell services based on gear supplied by the industrial companies, so manufacturers as well as cable and telecom companies act as both partners and competitors. Mainstream Automation is a growing market, with products that are easy to use, interoperable, personalized, flexible and affordable. Luxury Installations cater to high income households seeking high-end customized home automation. Point Products are do-it-yourself (DIY) home automation products that can be economically wired and networked with smartphones or control panels by individuals according to their preferences. The iRAP report on home automation architecture is focused on technologies and markets for Managed Solutions, Luxury Installations, Mainstream Automation and Point Products. 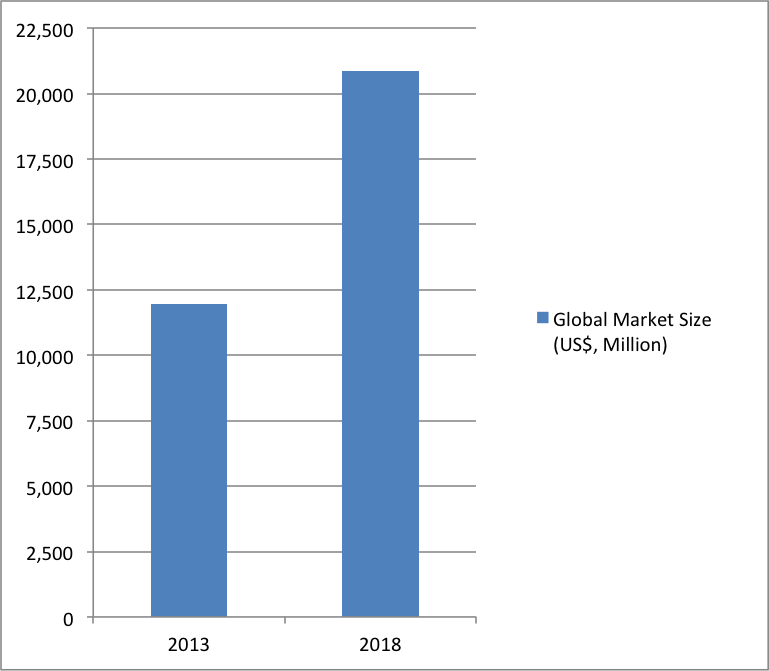 The Managed Solutions had the largest market share of the total market in 2013 followed by Mainstream Automations, Luxury Installations and Point Products.